March 29, 2016 – NASA has completed a major milestone on its journey to Mars and is ready to begin another phase of work on its spaceport of the future, where the next generation of astronauts will launch to Mars and other deep-space destinations. In the final step before actual fabrication, installation and testing of Kennedy’s ground systems, the GSDO program and review board briefed the results of their assessments to NASA’s Agency Program Management Council, led by Associate Administrator Robert Lightfoot. Engineers are transforming Kennedy’s launch infrastructure to support the SLS rocket and Orion spacecraft. 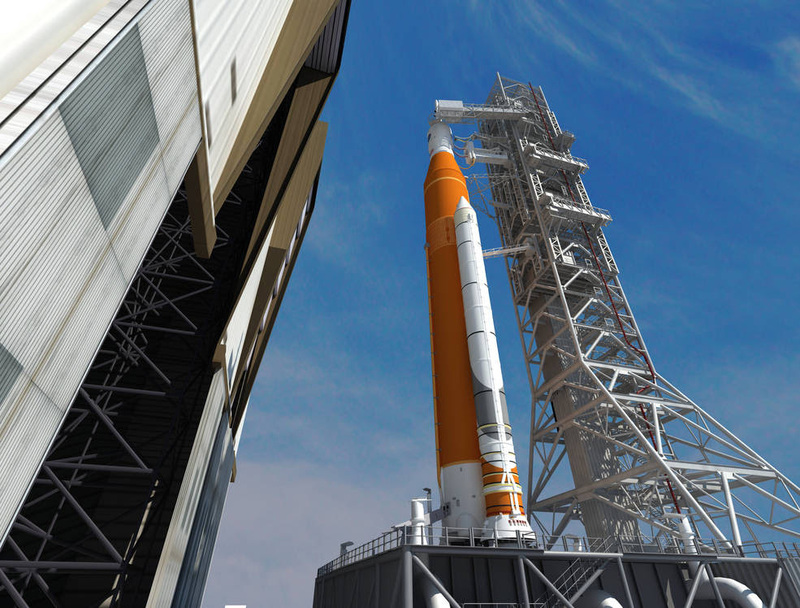 The heavy-lift rocket will be stacked in the Vehicle Assembly Building on the mobile launcher and roll out to Launch Pad 39B atop a modified crawler transporter. The Orion spacecraft will be fueled with propellants in the Multi-Payload Processing Facility at Kennedy prior to stacking atop the rocket. The launch team will use the new command and control system in the firing room as the clock counts down to liftoff of SLS’s first flight. For the spacecraft’s first mission on the SLS rocket, ESA (European Space Agency) is providing Orion’s service module, which powers, propels, cools and provides consumables like air and water in space. Results from ESA’s service module design review, which began this month, will be assessed and incorporated into Orion development and integration plans later this summer. Systems unique to the first crewed flight will be addressed at a review in the fall of 2017. Meanwhile, a structural representation of the service module is being tested at NASA’s Plum Brook Station in Sandusky, Ohio, where engineers conducted a successful solar array wing deployment test on February 29 and are preparing for a variety of tests to confirm it can withstand the harsh conditions of launch.